There are a whole host of reasons why basement egress windows are a good addition to your home – including better air circulation, more natural light and simply better aesthetics. 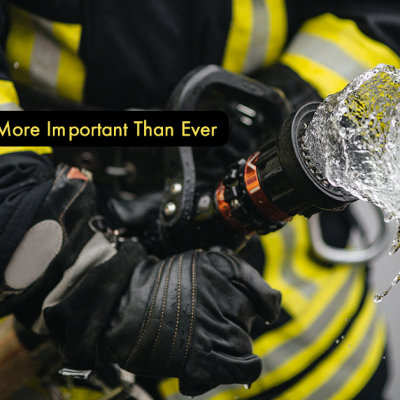 But as this recent story from St. Paul, Minnesota reminds us – the most important reason for having them is to save lives. The St. Paul Star Tribune recently published an article that serves as a chilling reminder of the importance of a safe means of egress. It reported the narrow escape of a St. Mary’s University graduate, who was trapped inside her parent’s basement when the house caught fire. 22-year-old Darlene Centeno was home from Winona visiting her parents, and fell asleep in the basement of their St. Paul home. When a fire broke out, she was trapped downstairs; and only barely escaped by wriggling out of a tiny basement window. “It was only because of her size and age was she able to save herself,” explained Jamie Novak, a fire investigator who was looking into the cause of the blaze. This marks the third near-fatal incident since November involving people trapped in basements. The first led to the death of man whose mattress caught fire in his North Lexington Avenue basement apartment. The second involved a 9-year-old girl, who was hospitalized for over a week and left with permanent scars after she barely escaped a blaze in her Dayton’s Bluff home. In all three incidents, the most dangerous factor was the lack of a means of egress in the basement. Had a basement window well been installed, it’s likely no deaths or injuries would have occurred. That’s exactly what a basement window well offers – a ‘means of egress’ or alternative exit to a basement, in case the stairs get blocked. National building code requires that all furnished and finished basements have a means of egress – the reason issues like those reported in St. Paul continue to occur is because many older homes, or those with illegal basement apartments, aren’t up to modern building code. It’s not optional, though. No matter how old your home, the law requires you to have a means of egress installed – and there’s much more at stake if you fail to do so than just a fine or a write up by the city. You could be putting people’s lives at risk. Contact us today at (419) 297-6138 about adding egress windows to your home.